Capital Humane Society is hosting a job fair! 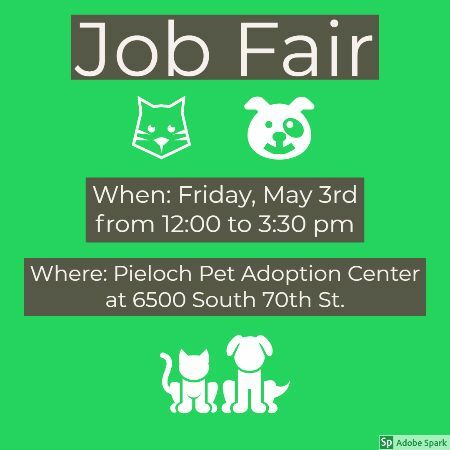 On Friday, May 3rd we encourage interested candidates to come to our Pieloch Pet Adoption Center at 6500 South 70th Street from 12:00-3:30pm. We are currently hiring for two Animal Care Staff positions. Applications and job descriptions will be provided upon arrival. Please bring any information needed for job history and references. We look forward to seeing you! 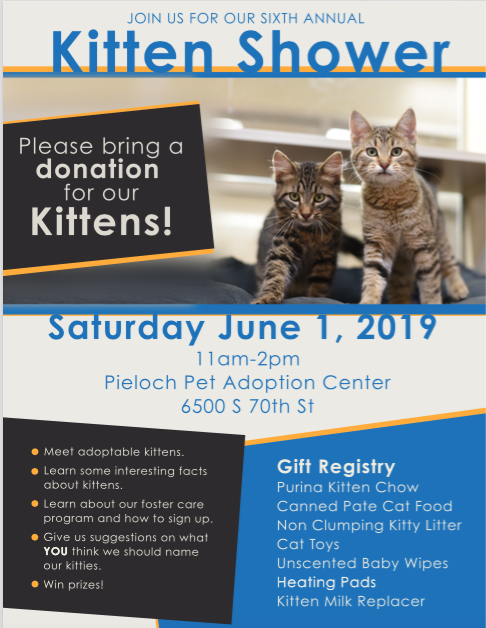 Our 6th Annual Kitten Shower is Saturday, June 1st from 11:00am-2:00pm at the Pieloch Pet Adoption Center! We hope you will join us as we prepare for kitten season! You will be able to meet adoptable kittens, learning about our foster care program & how to sign up to be a foster parent, meet current foster parents, give suggestions on what you think we should name our kittens, and enter for a chance to win prizes! Attendance is free but we ask for you to consider bringing a donation (or donations) from our kitten & foster care wish list. We hope to see you at this fun event! 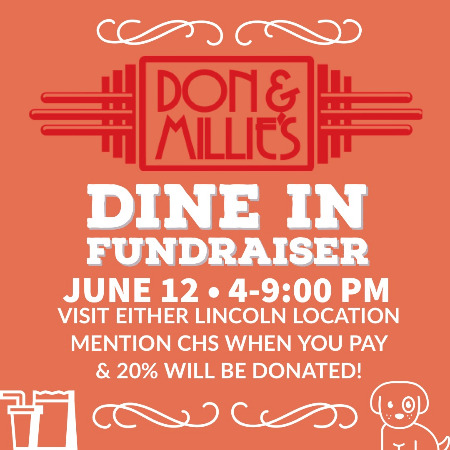 Visit either Lincoln Don & Millie's location on Wednesday, June 12th between 4:00-9:00pm and mention CHS when you pay! 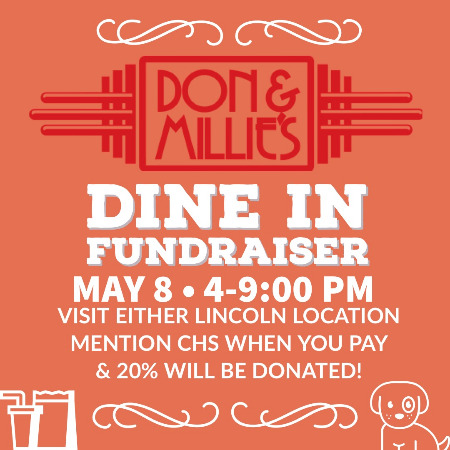 Don & Millie's will donate 20% of your ticket to Capital Humane Society!